There’s a lot to be said for peace and quiet, being surrounded by nature, while enjoying the aroma of a flickering campfire. Welcome to The Interlochen Motel. 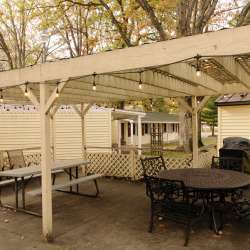 This unassuming, 13-room property offers something that seems increasingly rare these days…a friendly, family-run motel, tucked away from the city’s hustle and bustle, offering all the comfort and convenience you need in a great northern getaway. 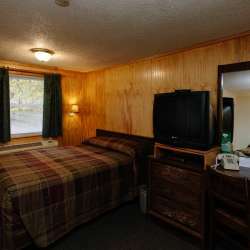 The Interlochen Motel is open year-round and caters to a variety of guests, depending on the season. 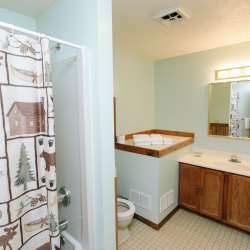 In summer, families, especially those with connections to Interlochen Arts Academy, stay here. Anglers are also drawn here by the exceptional fishing in the area’s numerous lakes and streams. In autumn, couples come for the colors and wine tours. In winter, the motel attracts an increasing number of snowmobilers, ice fishermen, and cross-country skiers.